Bend is located in the heart of Central Oregon flanked by the lofty Cascade Mountain Range to the west and the High Desert to the east. When you arrive in Bend you will find a warm inviting city. 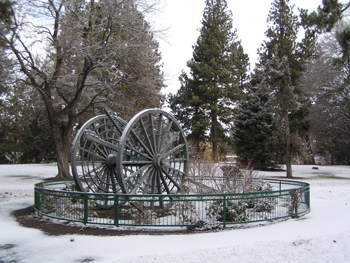 The climate in Bend is typically an arid high desert climate with some of the best weather in Oregon; Think sunny days and cool nights with endless opportunities for fun; Skiing, rock climbing, snowboarding, golfing, fishing, biking, rafting, hiking, water skiing are just a few of the offerings in the area. 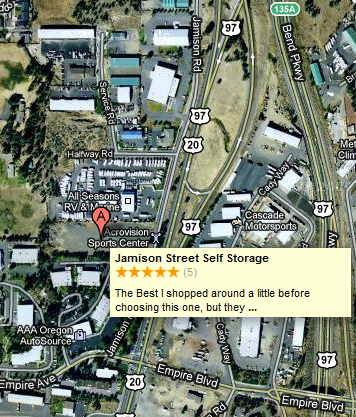 Please take advantage of the links provided courtesy of Jamison Street Self Storage to learn more about the area. 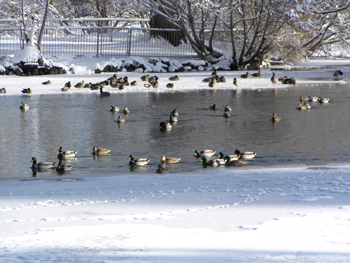 Thank you for visting our Bend, Oregon page!